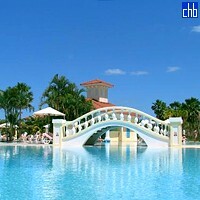 Hotel Paradisus Princesa Del Mar Resort & Spa (formerly Hotel Sandals Princesa Del Mar Resort & Spa) is Ultra All Inclusive resort built especially for couples. 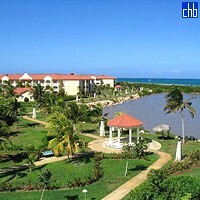 Hotel is in one of the finest locations on Varadero beach in the province of Matanzas, Cuba. It is only 30 minutes away from Varadero's International Airport, 90 minutes away from Havana International Airport and 10 minutes from down town Varadero. At the hotel you will find a variety of day and night entertainment options: 4 lit tennis courts, beach and pool volleyball, basketball, billiards, darts, shuffle board, table tennis, aerobics, one huge fresh water pool with seven whirlpools and two plunge pools. Variety of indoor activities is also available to you. Live music is offered throughout the resort and in the Captain Morgan Night Club. Water sports include: pedal boats, sail boats, kayaks, snorkeling, windsurfing, catamaran, water skiing, banana boat and scuba diving. Introductory diving lessons 3 times a week. There are 6 restaurants at Princesa del Mar: Gran Terrazza, Port Royal Beach Grill, Hill Top Hideaway Restaurant, Firenze Italian Trattoria, Marseille French Specialty Restaurant, Rock House. At dinner seating, proper attire is required. Dress shorts are permitted in Gran Terraza and Port Royal Beach Grill. No beach wear, tank tops or bare feet are allowed. Long pants and shirts with collars are required in all other restaurants serving dinner. Meeting and banquet facilities accommodate up to 475 people for receptions. Conference room seating up to 400 people and 360 banquet style. Two small meeting rooms with capacity for 40 people each are also available. Audio visual equipment is available and a full range of office equipment, secretarial services, computers, internet access, courier services, etc are available at the Business Centre. There may be separate charges for these services. Paradisus Princesa Del Mar Resort & Spa is suites only resort: Garden View Deluxe Jr. Suite, Premium Deluxe Jr. Suite, Ocean View Deluxe Jr. Suite, Concierge Luxury 1 Bedroom Suite, Concierge Grand Luxe 1 Bedroom Suite, Concierge Royal Ocean Front 1 Bedroom Suite, Presidential Suite decorated with style and elegancy. Hotel will exceed your expectations. The hotel will carry out renovation of the main swimming pool area, aqua & snack bar from June 01st 2015 to August 31st 2015. Clients can use swimming pool at Paradisus Luna y Mares hotel whist works are being carried out (hotels are connect by bride 10 minutes walk). Enjoy the wonders of this paradise of luxury and comfort! Junior Suite rooms each have views of either the garden or the pool and are located on the second and third floors. 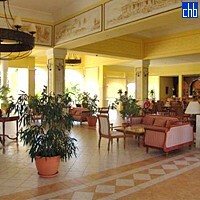 A few are connecting rooms and each have lounges and furnished balconies. Junior Suites Ocean View have all the suite inclusions of a Junior Suite Garden View plus a mini-bar stocked with water, soft drinks, beer, wine and champagne which are replenished on a daily basis. These rooms offer views of the sea and are located on the second floor. They include a furnished terrace, and lounge-dining room. A canopy is also above each king or twin bed. Similar to the Junior Suite rooms, the Royal Service Junior Suites are located higher up in the Royal Service buildings, providing better views of the gardens and pool. They also have hydromassage bathtubs in their bathrooms. These rooms have great sea views and are located on the top floors of each of the Royal Service buildings. 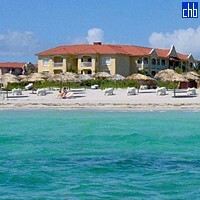 They each have a lounge, furnished balcony and bathroom with hydromassge tub. With views of the hotel gardens or pool, Royal Suite rooms are on the first floors of each of the Royal Service buildings. 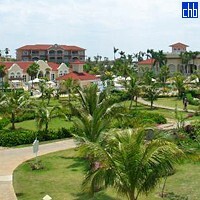 They consist of a lounge-dining room, bedroom and bathroom with shower and hydromassage bathtub. 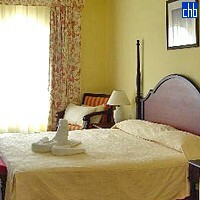 These rooms are also in the Royal Service areas but with direct access to the swimming pool on the ground floor. They offer the same amenities as other Royal Service rooms in addition to a terrace with a garden.